Somehow I seem to accumulate a crazy number of small appliances. 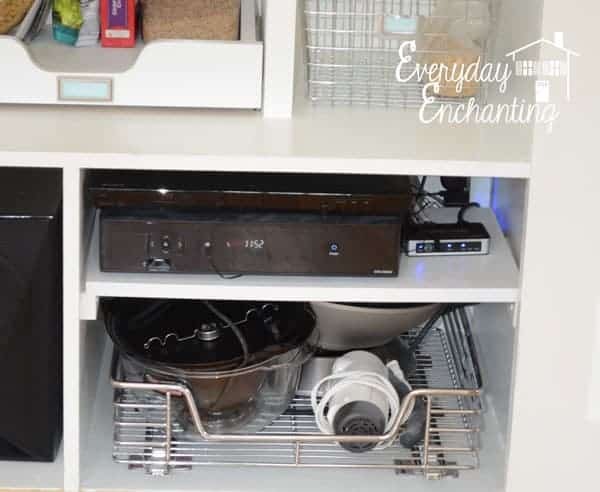 This large pull-out drawer is better equipped to handle their awkward dimensions than the kitchen cabinets. It’s not necessarily pretty, but it’s functional until the media components can move to the living room! As my boys grow older, they are consuming more and more food. One shelf and one basket were not enough! So the snacks are overtaking this basket very comfortably. I never anticipated that this would be an issue, for some crazy reason. But kids change their minds about what they like to eat- and often! 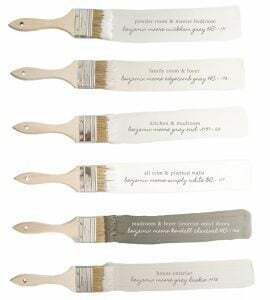 I switched out my printable labels for the Martha Stewart for Avery Chalk Labels. Now I can label them in chalk pen and simply wipe them off if something changes! When we inset the top of the pantry to make the shelves easier to reach, I was completely okay with sacrificing the space. I’m not sure why it took so long to realize I didn’t have to! 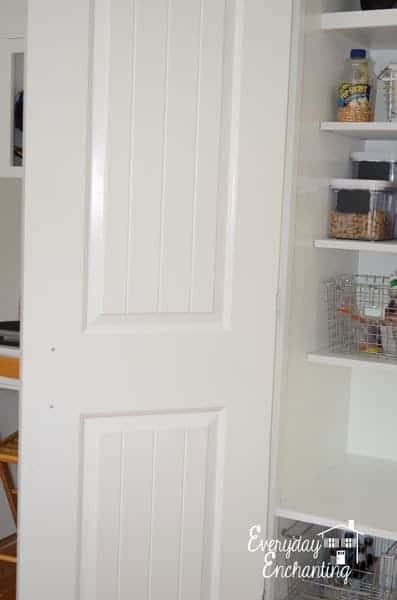 When canned food storage began to overflow into the other areas, it finally occurred to me that I had two blank doors. So I went ahead and bought two inexpensive can/jar holders. 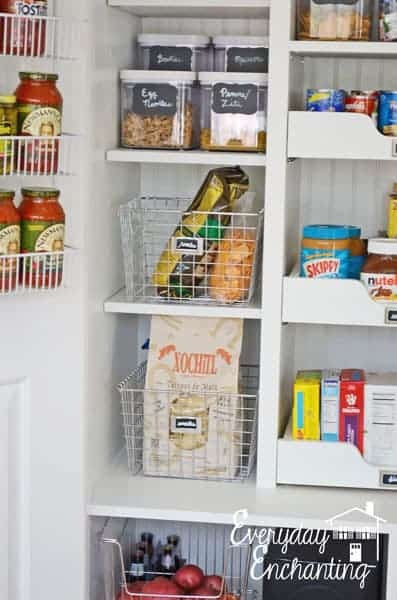 This is one of the best pantry storage tricks out there, and I even implemented it in our former home. It opened up so much space in the drawers, I don’t know why I didn’t think of it to begin with! This always seemed fussy to me, until I actually tried it. 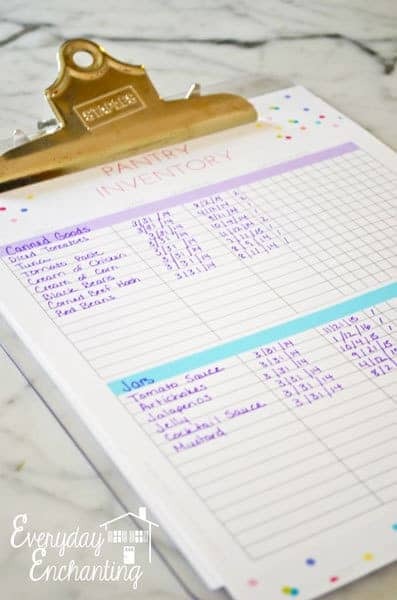 Along with my free printable menu planner, this has made meal planning extremely easy and actually helped me save money in our weekly grocery budget. I no longer need to try to remember every little thing we have, and I don’t end up with unnecessary duplicates. 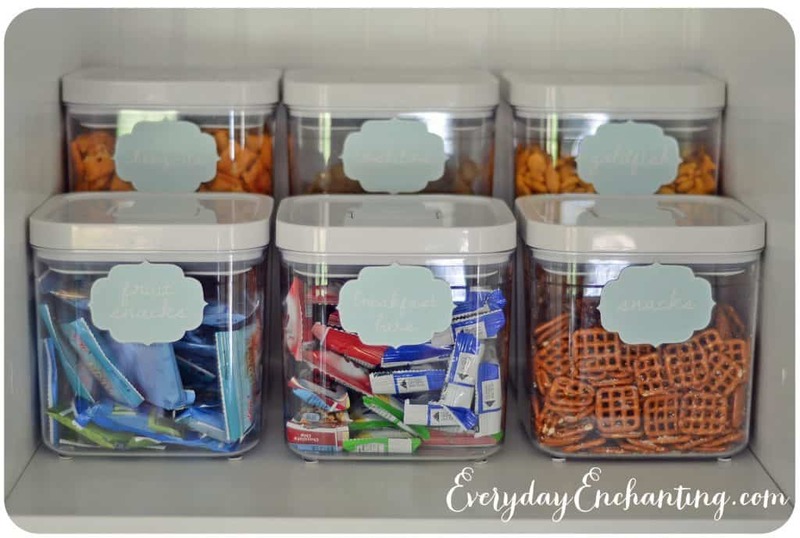 Get your free printable pantry inventory here! After our simple changes, this is the pantry now! It may not be a huge difference, but the plot of the story is making it work as time goes on and adapting when needs change. Even when you think an organizing project is done, chances are it isn’t going to be perfect forever – everything requires maintenance! 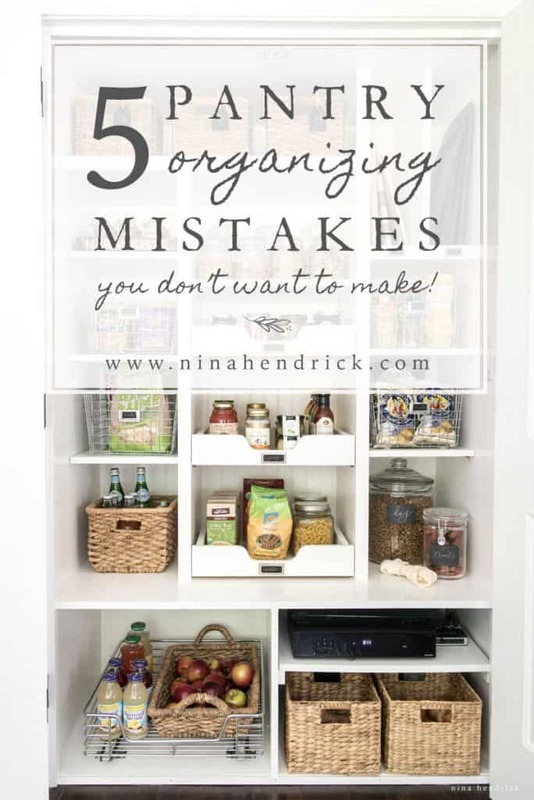 Have you ever completed an organizing project, only to find that you were making changes shortly after? I’d love to hear about it in the comments! You can also see a post answering some of the most frequently asked questions about the pantry here! Wow, what a gorgeous pantry! 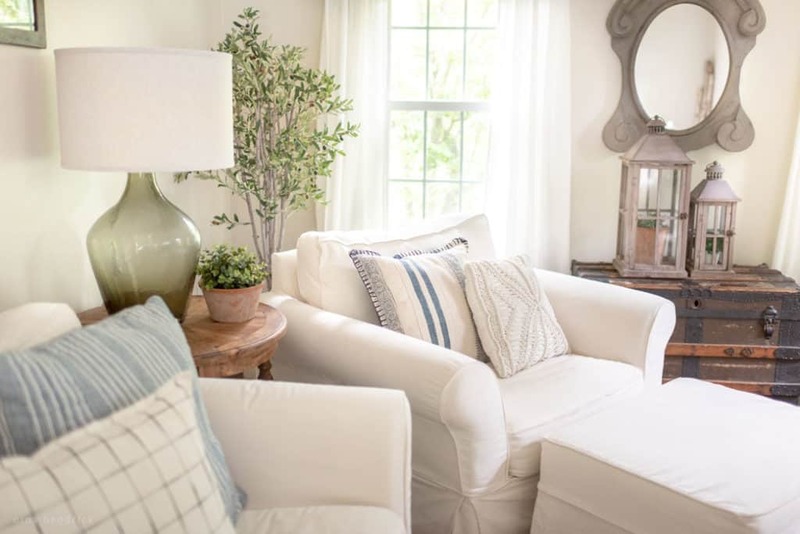 I didn’t see your original post, but I’m thrilled to get these tips after you’ve lived with it awhile! Thanks so much for sharing, it was really helpful as we are building a new home right now! Oops! These mistakes I am guilty of all. 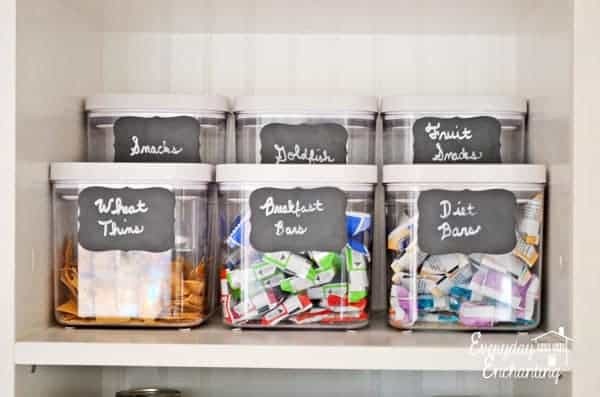 Great tips and love the way you replaced with chalk labels. 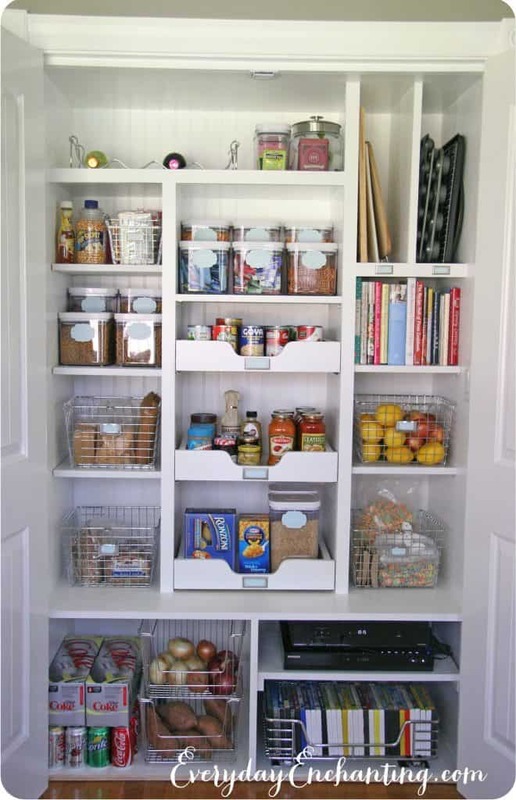 Your pantry shelves are nicely organized to being with; love it! Thanks for the tips of what not to do too. 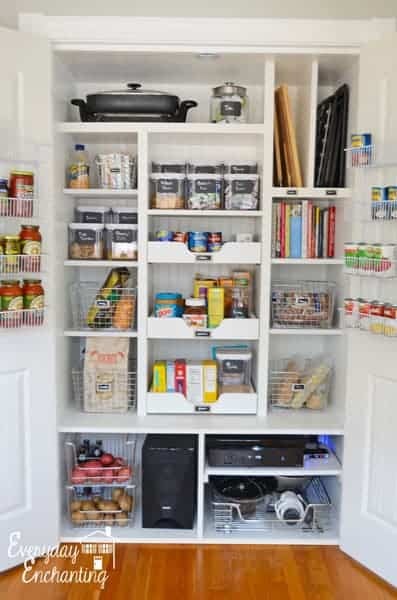 I had to pin to keep for later as we want to build a nice pantry like this soon too. Have a nice weekend. 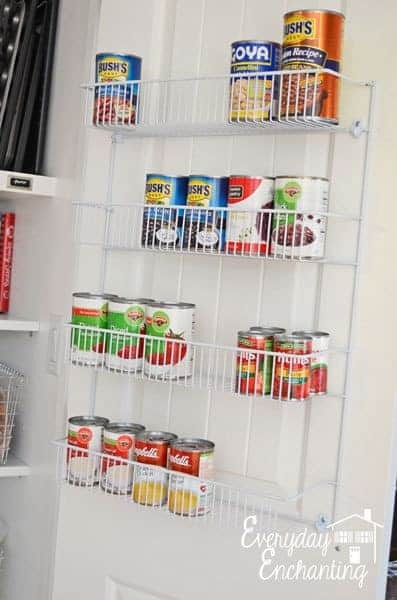 Where did you find the canned food racks on the doors? We have been looking everywhere, but we just can’t find them. 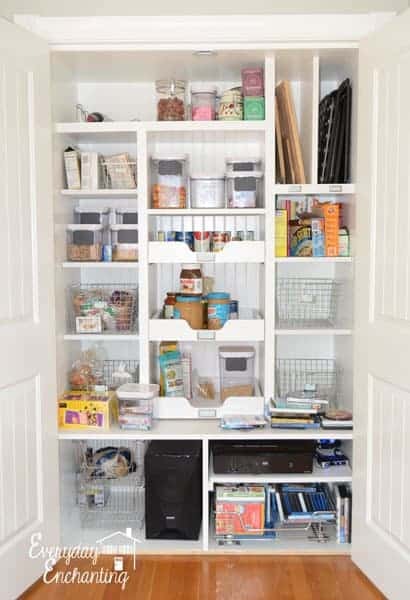 Your pantry looks amazing, like I could live in there. We found them at Lowes- I can’t remember the brand, but they were with the cabinet organizers and etc. Hi I was wondering where you found the clear plastic snack containers? I have something similar for cereal, but I Iove that size. Fabulous! 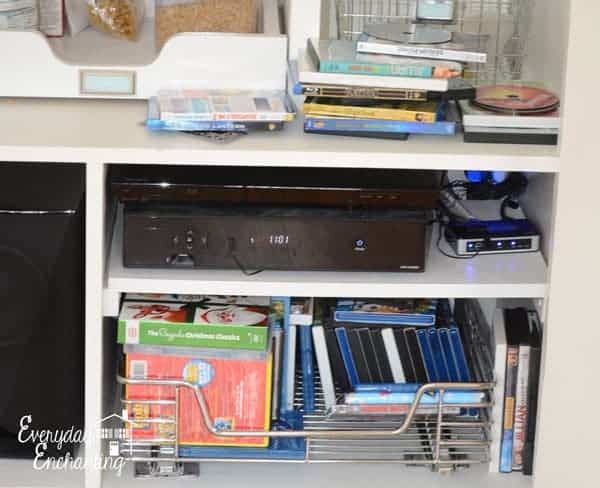 Where did you find the baskets and bins? Thanks for sharing – great tips! Hi! I was wondering if you oils post the dimensions of your pantry and shelves? I just love this! Where did you get the wooden drawers? Thanks! Hi Andrea, They were a DIY build :) Plans coming soon (finally)! I line up my canned goods by content color. This means I can tell at a glance if I’m low on tomatoes or tomato sauce, green beans, corn, pineapple, etc. I’ve used this system for years and it really works for me. No inventory tracking required. Ohmygosh I had the same thing happen with my corn syrup!